REIDY'S NOT SHORT-SIGHTED AT ALL! Jean Reidy is building quite a reputation as an author of picture books for the very young, so it shouldn't be a surprise that editors working to build in this area think of her. That's how her latest deal came about; the esteemed Virginia Duncan of Greenwillow reached out to say Jean had impressed her at a presentation at IRA, and asked if they might brainstorm some ideas together. The result? A two-picture-book deal featuring Specs, a not-so-clear-sighted young owl who explores the world with his friends. We hope Specs captures many hearts and goes on to star in many more books! The first release is slated for summer 2016. Congratulations, Jean! Taylor's illustration match-up for Manley's SHAWN LOVED SHARKS: A Perfect Pairing! No one expects it when some of the best things in life happen, and this is exactly what came down last spring when I first saw Art Taylor's illustrations. I was not actively looking for illustrators, but I wanted to sign them up. And then Art's beautiful work appeared in my inbox and I could NOT pass it up. I knew that I would regret it for the rest of my life if I didn't (which began the addiction!). Fast forward a year. Art's got a website up and we've got postcards mailing and it's time for the EMLA agents to head to New York. I present Art's work along with my other lovely illustrator and author/illustrator clients and get oohs and aahs on all of it. But one editor in particular falls hard for Art's work. I was in another meeting and left early to chat with her about the possibilities. A matter of weeks later and it's for sure. What I was not expecting became one of the coolest things I've ever experienced. The first EMLA text/art match. Let's make this a habit, shall we? Illustrator Arthur Taylor's artwork for Curtis Manley's SHAWN LOVED SHARKS, a debut picture book about a shark-obsessed boy who is so excited about predator day at school—but the creature he is assigned is not AT ALL the one he'd hoped for, to Emily Feinberg at Roaring Brook Press, for publication in spring 2016, by Tricia Lawrence at Erin Murphy Literary Agency for Taylor (World) with Ammi-Joan Paquette at Erin Murphy Literary Agency previously announcing the deal for Manley. It's not often you get a call from New Zealand with an experienced writer who has just landed major editor interest in his next book. That was the scene last winter when I first spoke on the phone to Peter Millett. A delightful New Zealand voice and my boring American voice chatted about his goals going forward and I was so impressed with his drive to improve his craft, to always push himself, to go after bigger and better goals. Peter is the author of the BOY ZERO, WANNABE HERO series (Faber & Faber, 2010) and THE ANZAC PUPPY (Scholastic New Zealand, 2014) as well as several other trade picture books and lots and lots of educational books. He's witty and fun and his kids go to the same high school as Lorde did (love the small world!). Australian and New Zealand rights to Peter Millett's JOHNNY DANGER: DIY SPY, where the world's fate is put in the hands of a young boy and his two minions pitched as James Bond for the younger set, to Jane Godwin at Penguin Australia, by Alex Webb at Rights People, on behalf of Tricia Lawrence at Erin Murphy Literary Agency. Congratulations, Peter! Onward and upward! Tara Lazar's New Picture Book Deal! 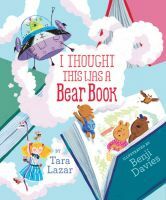 Once you've stopped off to visit Tara Lazar's deliciously quirky debut picture book, you will of course want to know what else she has on the horizon. And the answer is: much, much more! The next book to drop will be I THOUGHT THIS WAS A BEAR BOOK, coming from Aladdin in summer 2015. And today, I've got still more good news—which is really the reason we're here today. Tara Lazar's brand new picture book, NORMAL NORMAN, tells the story of Norman, a little creature who does not want to do all the normal things that creatures do. He wants to be different! Unique! Unexpected! Not everyone likes this plan... not at all. What is a think-outside-the-box creature to do? I'm delighted to say that NORMAL NORMAN has been acquired by Meredith Mundy and Merideth Harte at Sterling, and that an illustrator is already on board: the talented Stephan Britt. Congratulations, Tara—and here's to Norman! We're tickled pink about the cover of Jeanne Ryan's latest book, CHARISMA. Isn't it eye-catching? We love it! Look for it Spring 2015 from Dial Books for Young Readers. We may or may not (but really are) crazy giddy about Susan Vaught's cover for her debut middle-grade novel, FOOTER DAVIS PROBABLY IS CRAZY! Isn't John Hendirx's cover art brilliant?! Expect to see this on shelves Spring 2015 by Paula Wiseman Books. It's a happy book birthday to Corinne Duyvis' OTHERBOUND! This book is astronomical in the way it's being received, what with the starred reviews and awards. What an amazing debut! If you get a chance, wish Corinne a happy day and check out the reason for all the buzz on her book! You won't be disappointed! e.E. (Eunice) Charlton-Trujillo's FAT ANGIE has gone a lot of places and done a lot of things. It got starred reviews from PW and SLJ; it won the Stonewall Award, was nominated for a Lambda Award, and made the Rainbow List; it inspired Eunice to take an impromptu book tour, which turned into a documentary film-in-progress and spawned a whole movement, Never Counted Out, "a creative revolution to inspire at-risk youth." And it was only Eunice's third book! Can you imagine what she'll do with a fourth under her belt? We're about to find out! Eunice's WHEN WE WAS FIERCE, a YA novel in a low-income urban setting, follows a group of friends trying to stay out of gang warfare, was just signed by the editor of FAT ANGIE, Joan Powers of Candlewick. And off we go! Congratulations today to Erin E. Moulton on her release of CHASING THE WILKY WAY! It's a book Kirkus Reviews calls a "poignant story" and Horn Book applauds as an effective "balance of big-picture issues" with "day-to-day challenges each character faces and the triumphs he or she achieves." Here's wishing on the Milk Way this book will reach readers everywhere! Mark of a GREAT cover! Pull out your oohs and aahs for the big cover reveal of Jennifer Nielsen's new novel, MARK OF THE THIEF! This is book one in a new series out February 2015. Isn't it full of golden goodness? Congratulations, Jen! You might know Anna Staniszewski as the author of the hilarious MY VERY UNFAIRY TALE LIFE series, or of huge crowd-pleaser THE DIRT DIARY, whose sequel, THE PRANK LIST, releases on July 1st. (Yes, folks! That's less than a month away!) Anna also has several picture books rattling around the production line, the first of which, POWER DOWN, LITTLE ROBOT, is set for release in June 2015. Is that enough to keep Anna Staniszewski busy, you might ask? Given the information imparted in our title, astute readers may well anticipate the answer. No! It's not enough at all! Readers hungry for more of Anna's humor, warmth, and awkwardly quirky characters will be happy to know that there is more good stuff on the way. I'm delighted to announce the start of a brand new series, "Heart and Souls," which kicks off when a teen cupid and a teen reaper are dared to kiss at their 8th grade party. That spark of electricity they felt? It wasn't romantic chemistry. It was the sound of their powers switching places. Cue madcap antics. The first title, I'M WITH CUPID, will be released next summer, and the series sold as a three-book deal, again to the fabulous Aubrey Poole at Sourcebooks Jabberwocky. For the full PW Right's Report announcement, click here. WORD is Audrey Vernick has another book out today! 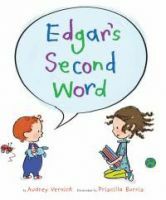 Happy book birthday to Audrey Vernick's EDGAR'S SECOND WORD, illustrated by Priscilla Burris and published by Clarion! We promise you, this picture book, about a love of reading, will make you say, "Awwww!" 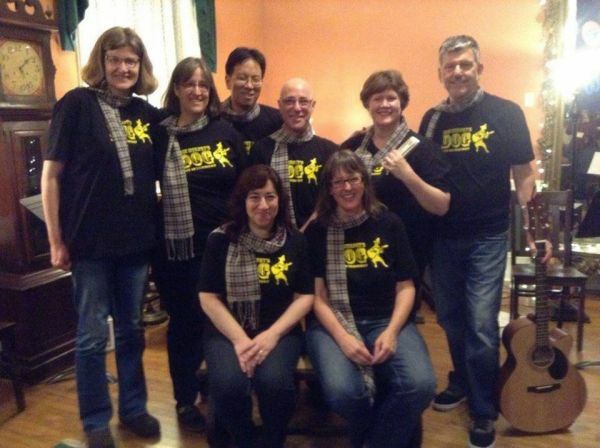 Last month we held our eighth annual client retreat, full of sharing and bonding and silliness and, yes, a house band, Erin Murphy's Dog. Elizabeth Bluemle has written about the Dawg, as it is sometimes called, on today's Publishers Weekly blog Shelftalker, and included video links of two publishing-themed songs. Have a look and a listen! Luke Reynolds is a man of many talents, whether he's pulling together a dynamite anthology, like last year's star-studded BREAK THESE RULES, or writing hilarious fiction, like his middle-grade novel THE LOONEY EXPERIMENT, which is forthcoming from Blink/Zondervan. But one thing never changes when it comes to all things Luke: his work perfectly walks the line between humor and heart. What more could you need if you want to reach young readers? Today I'm thrilled to share a brand new project in the works for Luke Reynolds, this time moving into middle-grade non-fiction. Everyone who has ever been a middle-schooler will readily agree that this is not the easiest time of life. Don't you wish that when you were getting ready to launch into those years, there was a guide that could help you out with some of the really important questions—not "how do I find my locker?" and "where is my classroom? ", but the deeper issues of authenticity and acceptance and having the courage to be yourself? It may be too late for us a-good-deal-older-than-middle-schoolers, but for those who are still up-and-coming, take heart! I am delighted to announce that Luke Reynolds's HOW TO SURVIVE MIDDLE SCHOOL was acquired by Nicole Geiger at Beyond Words, in partnership with Aladdin. Hooray for Luke, and congratulations on this much-needed book that is sure to be a classroom staple!